fell asleep on the keyboard. Ok, ok, I ‘fess up. 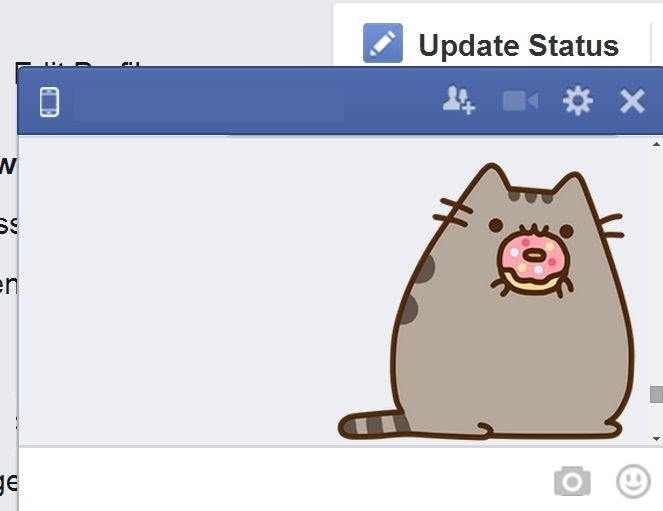 One of my guilty pleasures in life (along with wearing clashing prints and glutting on self-help books) is inserting cutesy Pusheens into Facebook chats. This is an expression I reserve solely for my nearest and dearest. My sister has put up with all manner of Pusheens scoffing donuts, eating junk-food, eyeing cake, sitting at a keyboard, writing memoirs, surrounded by sleep suggesting Z-Z-Z-s. In straighter-laced correspondence I keep to two emoticons: smiley face or winky-smiley face. Sticky-out tongue makes only the rarest of appearances. In ordinary correspondence, I employ a little too much punctuation and the over-eager use of greetings!, warmest regards and best wishes. I still prefer to omit concluding xs, but they are so commonplace these days as the signifier of correspondence a fine that I often acquiesce.